WikiLeaks has released more information on Australia’s secret trade dealings. 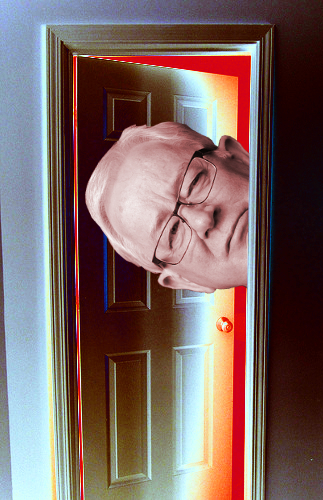 The whistle-blowing website has revealed Trade Minister Andrew Robb’s willingness to massively deregulate qualifications, licensing and technical standards for health, environment and transport services. The revelations come in a trove of information on the negotiations over the little-known Trades in Services Agreement (TiSA). The documents are accessible here. The leaks also show that Australia is seeking extensive international financial deregulation, in a deal that could see Australians' personal and financial data freely transferred overseas. WikiLeaks has published documents including draft treaty chapters, memoranda and other texts relating to the secret bargaining on banking and finance, telecommunications and e-commerce, health, as well as maritime and air transport. The documents were meant to stay secret untilover five years after the TiSA negotiations finish and the trade deal is in place. Dr Patricia Ranald, research associate at the University of Sydney and convener of the Australian Fair Trade and Investment Network, told Fairfax Media reporters that the publication revealed an “extreme deregulatory agenda” coming from both the United States and Australia's negotiators, which would have “serious implications for all service sectors, perhaps human services especially”. The negotiations appear to back the line of Australian banks, who say deregulation is necessary for them to increase their business in Asian markets. But Financial Sector Union secretary Fiona Jordan says it is a step in the wrong direction. “The issue has to be about Australia maintaining the tight regulations it has – and perhaps even adding to these,” Ms Jordan told reporters. “We cannot be in a position where outside bodies are undermining protocols in the interest of commercial competition or gain. The documents show the Australian Government strongly supports the winding-back of government regulation on qualifications, licensing and technical standards that affect trade in services. Australia has also backed the free delivery of a many professional services, including legal, accounting and taxation services, engineering, construction and architectural services, and private education services. Australian negotiators are seeking the removal of any restrictions on foreign investment associated with provision of such services. In the electronic commerce and telecommunications chapters of the TiSA draft, Australia appears to support allowing governments to facilitate the free flow of data between countries, setting up weak provisions for privacy protection. Just like the equally-secretive Trans-Pacific Partnership free trade agreement, the draft TiSA text calls for the prohibition of laws and regulations that would require service providers to host data on domestic servers. Australian National University associate professor Matthew Rimmer said it could severely damage privacy and data sovereignty. “Big IT – such as Microsoft, Apple, Google, Yahoo!, and Facebook – have been pushing for trade rules on electronic commerce,” Dr Rimmer told Fairfax. Fifty nations including Australia, the United States, Canada, Japan, South Korea, Taiwan, and the European Union’s 28 member countries have been engaged in the secret TiSA negotiations since 2013. The TiSA, just like the TPPA, has been on the United States’ “fast track” to enaction. Trade Minister Andrew Robb says TiSA will “strengthen job-creating services”, and the Department of Foreign Affairs and Trade says “good progress” was made in the most recent rounds of official discussion. The next round of formal negotiations will take plane in Geneva from 6-10 July, and are set to centre on telecommunications, temporary entry of business persons and maritime transport services.